Thanks for the info. I think I prefer the size of the regular vinyasa. I have purchased quite a few of the ivviva scarves for my daughter, and there are some patterns that I really like and I do occasionally wear them. I agree that they can be a little more 'manageable,' and of course the price is better -- I ike the one that is shown here -- I might have to get one for her! I agree with the first comment - I don't like the colors of the Iviva scarf at all. It kind of reminds me of Lite Brite the toy we had when we were kids. Since many people on here have statd that they can fit into Iviva sizes I've checked out their website a few times but the colors are never appealing to me. I agree that vinyasas are huge though. Would be nice to have a nice middle sized scarf. Got my first one from the warehouse sale and it is going to dwarf me especially in the fleece material. I also picked up a yogi cut off tee from the warehouse sale and it came today. I love it! I crossfit and it will be a great change from constantly wearing CRBs. I'm 5"0 and 100lbs and I have both the village and vinyasa scarves. Frankly I would prefer it if there is an in-between size. The vinyasa can feel a little too big at times, but the village chill scarf is definitely too narrow to be anything but a neck scarf, imo. I have the herringbone village scarf and it's serving me very very well. I think the darker color ones are ok for us older ladies (by older, I mean above 18 years old). I beg to differ from the ladies who said the Vinyasa was too big/long. I think it depends on how you use it. If used as a neck wrap as shown in the first pic in this post, then I can see how the Vinyasa might be too much. However, I use mine as a shrug a lot, especially in the office, and it's barely enough material to go around if I want to be able to move my arms. I have 7 Vinyasas and hope the length/width doesn't change.. It's a funny coincidence that you posted this because I just recently experimented with getting an Ivivva Winter Chill scarf, in a grey herringbone colour! 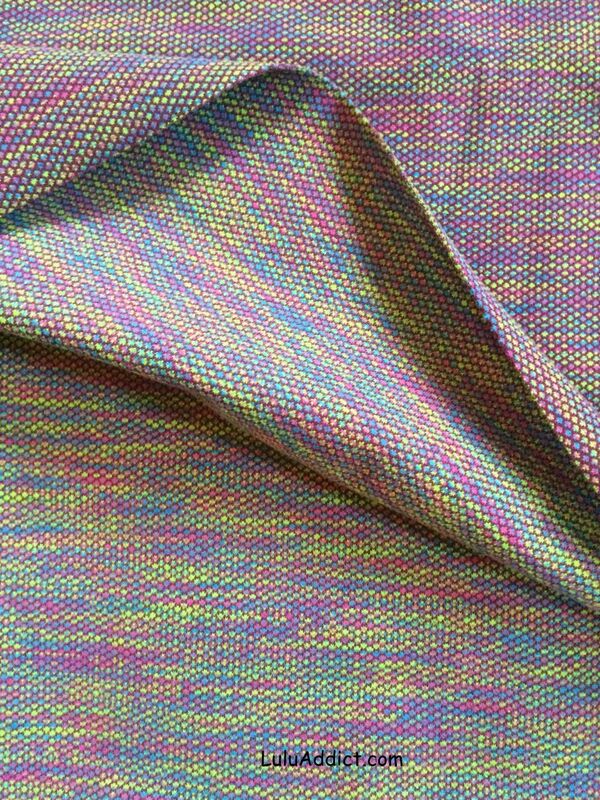 I am not attracted to Ivivva's colour choices, but the herringbone was beautiful. 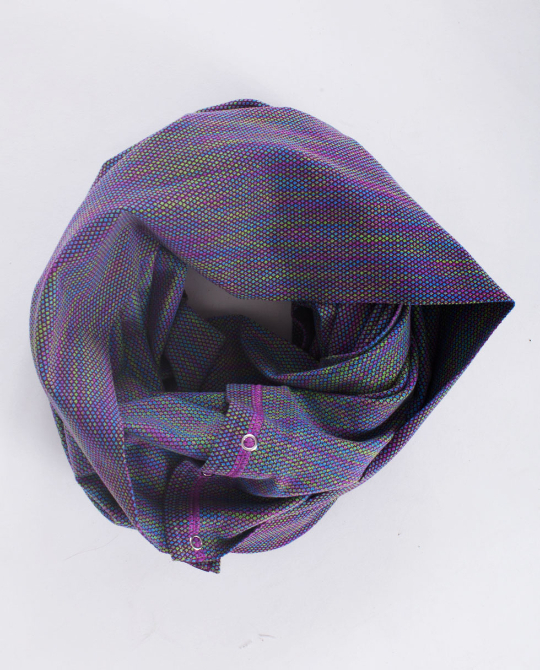 I was able to compare the herringbone winter chill scarf and the black herringbone vinyasa. 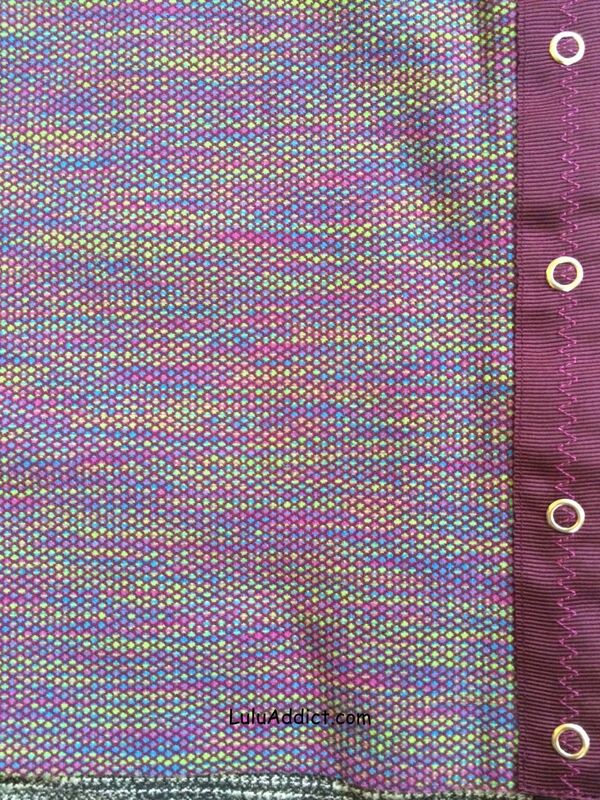 The material was pretty much the same, the winter chill scarf was a bit lighter in colour. After the comparison, I actually returned the vinyasa, I didn't like the seams and I found the winter chill scarf was more manageable on my shoulders. It wraps nicely without the bulk, but it's still warm. However, if you're looking for a wrap around your shoulders (which I call the infinity poncho look), the vinyasa is much warmer since it obviously covers more space. =) Also the sides of the unfinished winter chill scarf kinda rolls on you, but it's not that noticeable. Snagged a coco pique vinyasa from Ala Manoa Center in Honolulu when I was on vacation this week! They had at least 4 more - I guess thick scarves are not on the most wanted list when you live in paradise ;) so happy and did not expect to be able to get one at all! Hmm, I know vinyasas are big, but that's one thing I love about them, they are a no joke bundle of warmth. Wouldn't want it any smaller. OT but I went to store today and tried on the black coco pique WUPs and yup, they are really thin and not supportive or flattering. I also tried on the black swan (black grape) WUP roll downs and they are completely sheer on me. I have a black pair from last winter, same size, no sheerness. So bummed because black swan is one of my favorite colors of all time. I was so excited to get them. Not meant to be I guess. I also tried on the new Forme jacket. The rocky road is pretty and I almost got it but it just seemed to Nike/Athleta-ey. I also tried on the coco pique and I'm really considering getting it, even though the material is on the thinner side for pique. I tried it on in my regular size and it was a bit loose, but the size down for me was perfect and form fitting like my regular size. 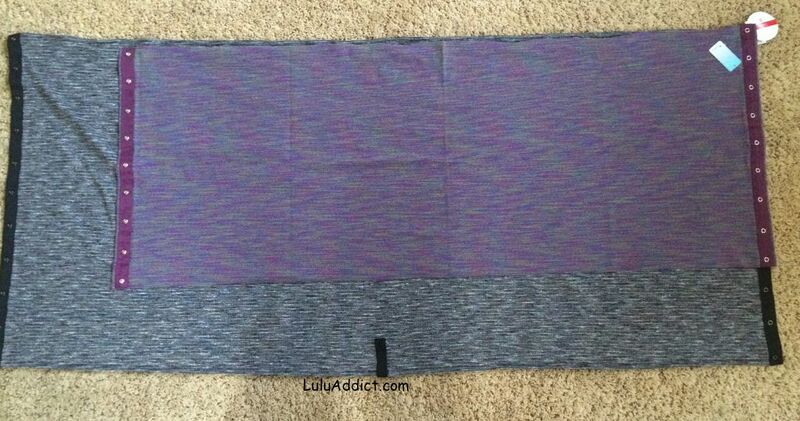 The large size of the vinyasa scarf is perfect for me and why I keep buying them! I hope they don't change the size either. 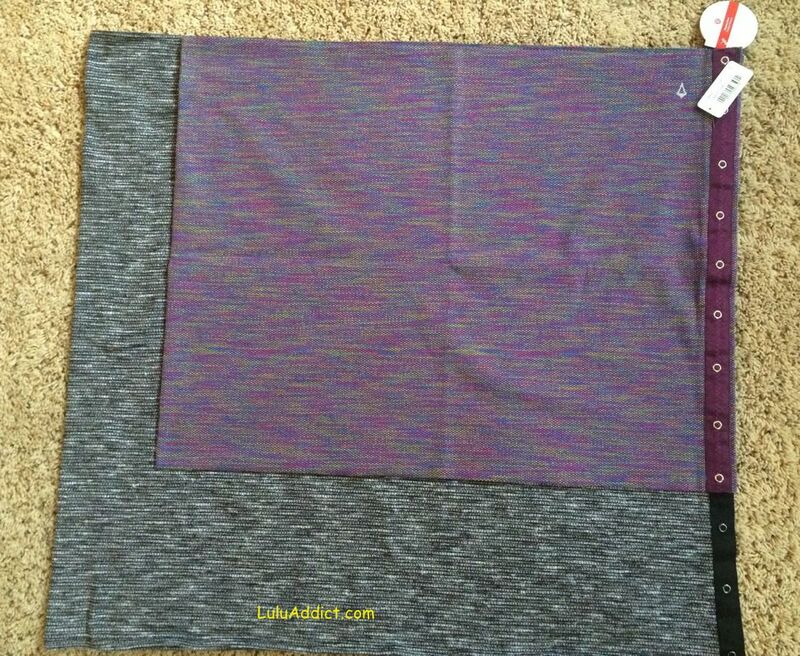 My fave lulu product. Thanks for the post. I've wondered what the size difference is for the two scarves. 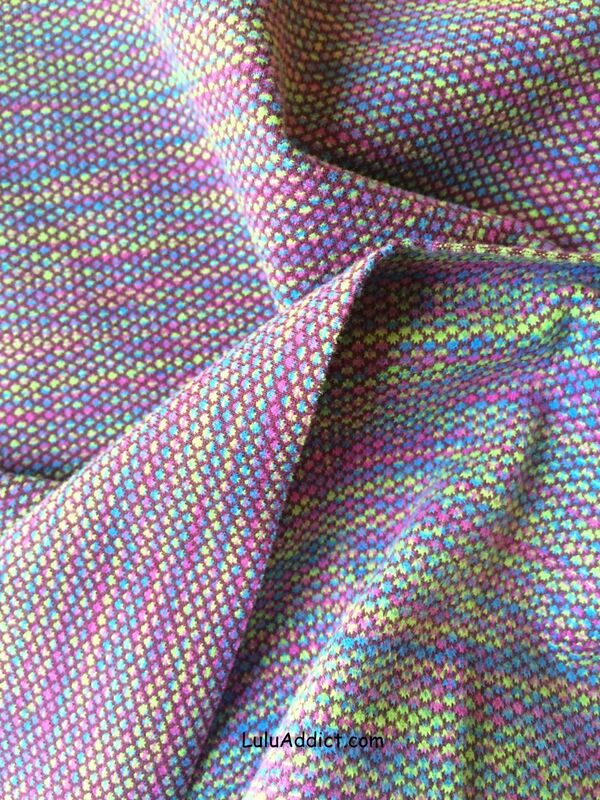 I love my Ivivva herringbone scarf from last year. Being only 5' tall and 103 lbs., it works really well for me. I also like my two Vinyasas, especially for airplane travel! I like the colors on the scarf. Maybe I am a little juvenile. I don't own any vinyasa scarves, I am more of a neck warmer type. I own a few Ivivva scarves (I also have 12 Vinyasas), simply because I like the option of a diff size. I try not to choose juvenile patterns, prints or colours, but the price is hard to beat.